The Company operates in one industry segment, in what may be generally described as fast moving consumer goods, selling numerous products in multiple health-and-beauty aids, over the counter drug and remedies and cosmeceutical categories. All of the Company's products are manufactured by contract manufacturers, pursuant to the Company's specifications and formulations. The Company owns registered trademarks, or exclusive licenses to use registered trademarks, that identify its products by brand-name. Under most of the brand names, the Company markets several different but categorically related products. The principal brand and trademark names include "Plus+White" toothpastes and teeth whiteners, "Bikini Zone" medicated topical and shave gels, "Nutra Nail" nail care treatments, "Scar Zone" scar treatment products, "Sudden Change" complete skin care regime, "Porcelana" skin care products, "Hair Off" depilatories and "Sunset Café" perfumes. 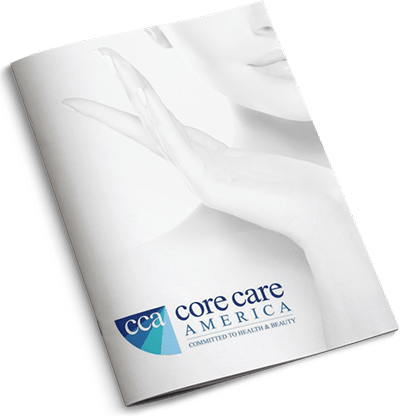 All Company products are marketed and sold to major drug, food chains, mass merchandisers and wholesale beauty aids distributors throughout the United States, as well as internet sales. In addition, certain of the Company's products are sold internationally, through distributors.